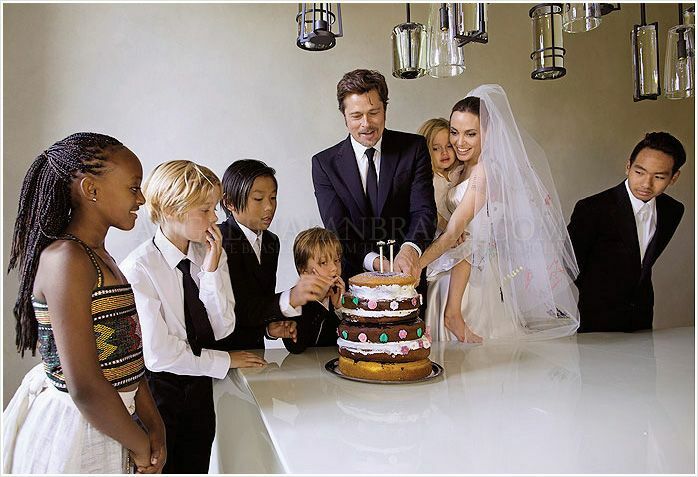 Happy anniversary to Brad Pitt and Angelina Jolie who were married on Islander’s birthday! To celebrate, we were inspired to bake a naked-style natal cake like the one that their son, Pax, who was only 10 years old at the time, lovingly made for their wedding. It appears that the alternating cake layers were white or light and chocolate with some pink rosettes and green leaf frosting decorations attached around the sides. Our top tier mini version is simple yet sweetly symbolic. The chocolate layer is a basic recipe that a child can make (with adult supervision), like Pax might have done for his parents. The vanilla layer is easily made with a boxed cake mix enhanced with rosé wine—specifically the award-winning wine from the Jolie-Pitts’ own home and Provence estate, Chateau Miraval, in France, where their intimate, private wedding ceremony took place amongst their children/family and a few close friends. We topped our naked cake with a statement pink silk rose, which is in homage to the saint of the day, St. Rose of Lima, as well as an indication of the rose pink flavoring in the cake. And the “Mr. & Mrs.” cake topper is in reference to the movie, “Mr. & Mrs. Smith”, where Brangelina’s infamous love story began. Celebrate a birthday or wedding like a movie star with this special rosé wine and chocolate naked cake. And have a happy feast day in honor or St. Rose of Lima! 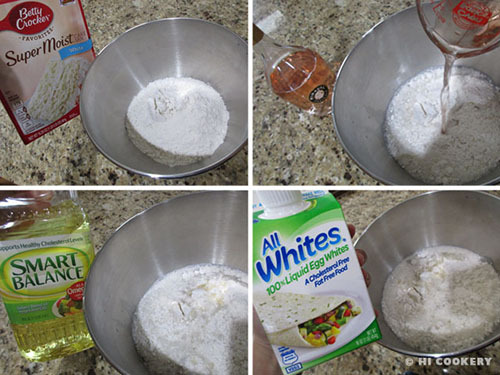 In a large bowl, pour the wine over the cake mix. Stir in the water and vegetable oil. Add the egg whites and pinch of salt. Mix in the extracts/flavoring and food coloring, if using. Blend well. Divide batter into two 8-inch round pans that have been lined with waxed paper and greased on the bottom and sides. Bake in a preheated oven at 350 degrees F for 30-35 minutes, testing for doneness with a toothpick. Remove from the oven and cool completely. 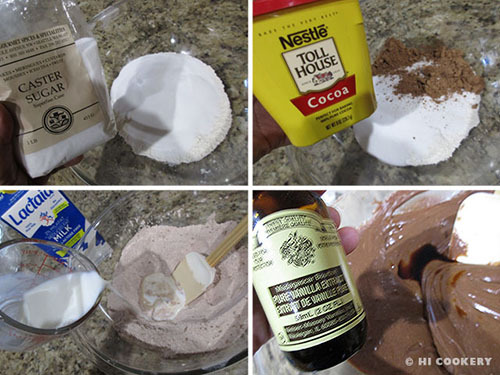 In a large bowl, combine the flour, sugar and cocoa. Add the milk and vanilla. Stir in the melted butter and eggs and mix until smooth. Pour into two greased 8-inch round pans. Bake in a preheated oven for 30-40 minutes, testing for doneness with a toothpick. Remove from the oven and cool completely. In large bowl, beat the butter with the salt until light and fluffy. Gradually add the powdered sugar, alternating with a little wine, until well blended. 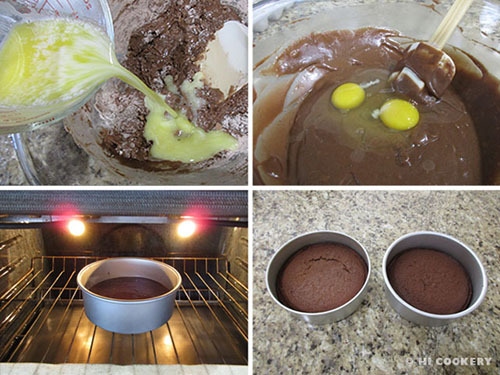 Slice each cake into two layers, leveling the top. Make sure the layers are the same thickness. Brush away any crumbs before assembling the cake. 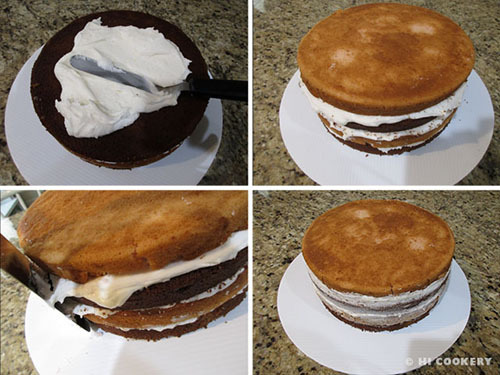 Smear a little frosting on the cake board to act as an adhesive to the bottom layer of the cake. Position a chocolate cake layer on the bottom. Spread some frosting on top, being careful not to pick up crumbs. Position the rosé cake layer on top and press down on the filling. Spread more frosting on top. Position another chocolate cake layer on top and press down on the filling. 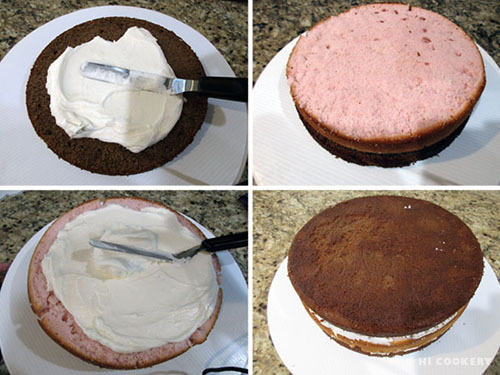 Repeat with the frosting and top with the bottom end up of the rosé cake layer. Spread the remaining frosting on top (or use a star tip to cover and decorate all around the top of the cake). Chill to let the frosting set. Bring to room temperature for serving. 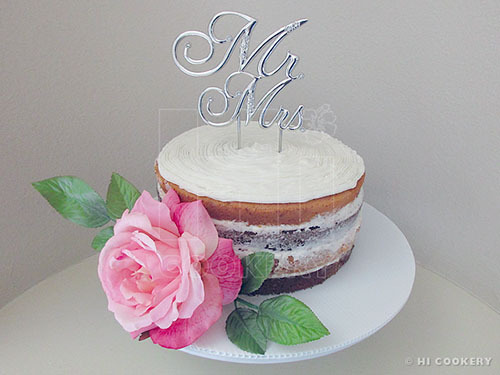 Decorate with a silk rose and leaves and a cake topper as desired. 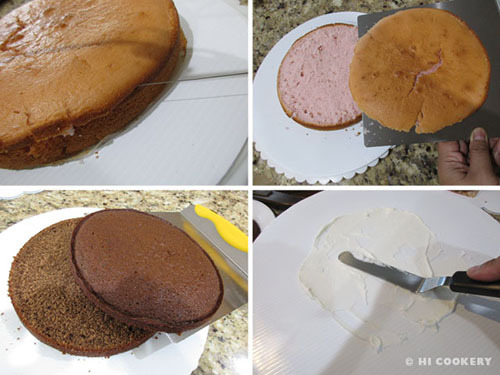 When cut, the cake has a surprising visual beauty of Neapolitan colors. “Naked” cakes are simple sweets that have the “bare” minimum frosting between “exposed” layers of cake, which are a good option for movie stars who have to maintain their famous figures and cannot indulge in rich desserts too often. Our German chocolate cake was the first attempt at a “naked cake” with the exposed layers of German chocolate cake sandwiched between sweet coconut-pecan frosting. We hope to make more naked cakes for our blog in the future. We used a French brand of butter because Brangelina got married in France. Any rosé wine may be used instead of the more pricey Miraval brand in this recipe. The tasting notes in the latter are described as having a delicate berry and citrus aroma with a floral touch. 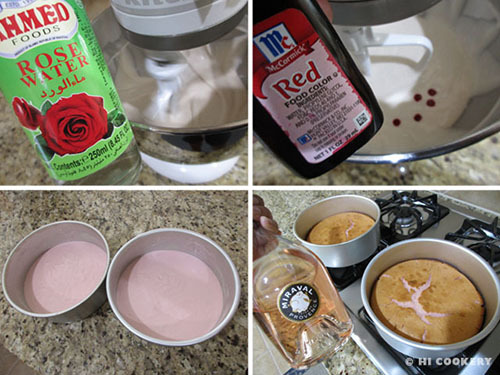 So we added berry and citrus flavorings and rose water to the white cake batter. The alcohol cooks off in the cake when it is baked, so it is safe to serve to children. 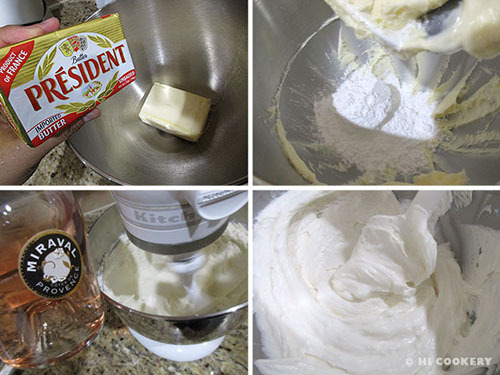 The pinch of salt in the rosé wine cake batter and frosting cuts a bit of sweetness in the dessert. “Salt” is the title of one of Angelina Jolie’s movies. We used a wire cake leveler to cut the layers of our cake, which is safer than a knife blade when decorating with children. The two cake layers have different densities. 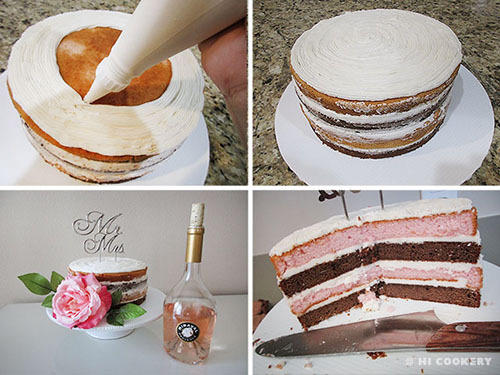 The rosé wine cake layer is lighter and fluffier than the chocolate cake layer. If stacking more layers for wedding cake tiers, use a pound cake recipe for a more stable structure.